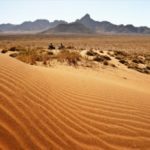 Deep in the very core of the Namib Desert, Sossusvlei is a marvel of remoteness, waiting to be explored, felt and discovered. 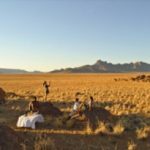 From jagged buttresses, to vast lands that meet the horizon, dotted with tufts of rugged scrub and trees, tranquillity has a new name. 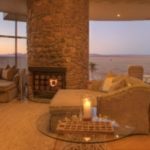 The suites and the convivial areas of the camp hold the neutrality of creams and greys, furnished with stone floors, textured sofas, smooth walls and angular cuts of the ceiling that enhance the shape of each room. 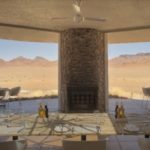 The polished wood trimmings and carefully selected art fill each space with the sort of elegance that compliments the rough beauty of the Sossusvlei. Each suite has en-suite bathrooms of splendid size and style, private decks that soak in the landscape and rose quartz outcroppings, breaking down the divide between outside and in. The lounge and dining areas offer even more places where you can find the tranquillity you’ve been seeking. 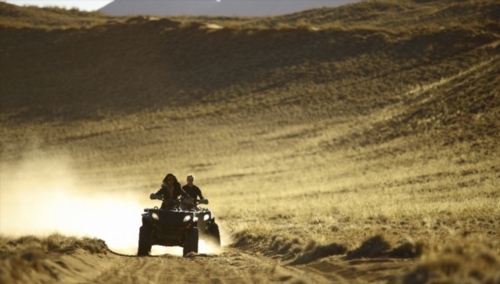 From hot air ballooning the skies, to quad biking and vehicle safaris, how you explore the land is all up to you. 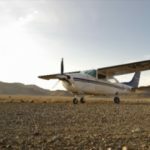 Hikers will fall in love with the peace along the trails, whilst flight enthusiast will see just how vast the land is on scenic flights through the territory. The area is full of history for those curious about its past. 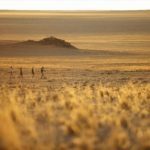 Trips to Dead Vlei, Sesriem Canyon and Sossusvlei show just how the land formed into what it is today. The San rock paintings and petrified dunes will reveal even more about the land and its inhabitants throughout the ages. 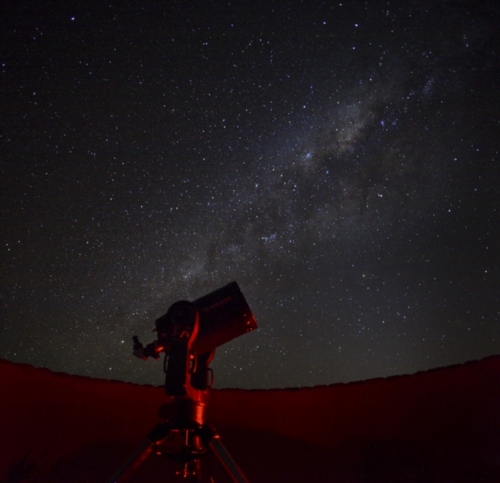 An observatory with cutting edge technology allows guests the chance to see the skies in a way that most other places on earth cannot provide. 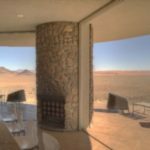 The lucidity of Namibia’s atmosphere allows the depth of clarity for probing telescopes to see further and further into the universe. Prepare to be spellbound by what you will see. 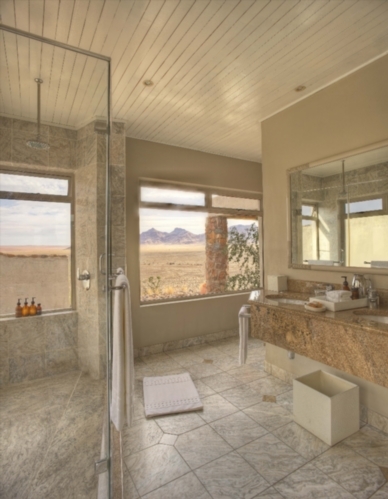 With a variety like this, it’s no wonder that year after year, guests return to revel in the adventure, quiet and rejuvenating fun that Sossusvlei Desert Lodge exudes. 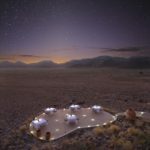 Dining with the desert dunes in full view. 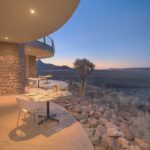 The bar overlooking the Sossusvlei Desert, where guests come to appreciate the view. 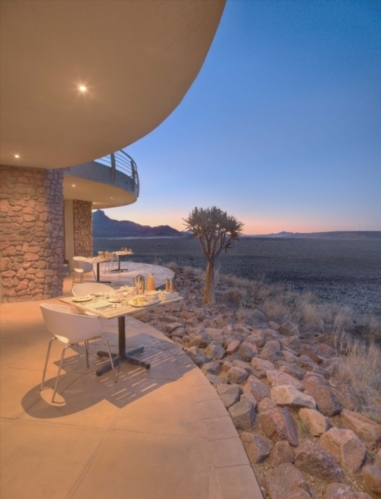 Indulge in the quiet of a desert sunset. Spend your evenings watching the horizon stretch into forever. 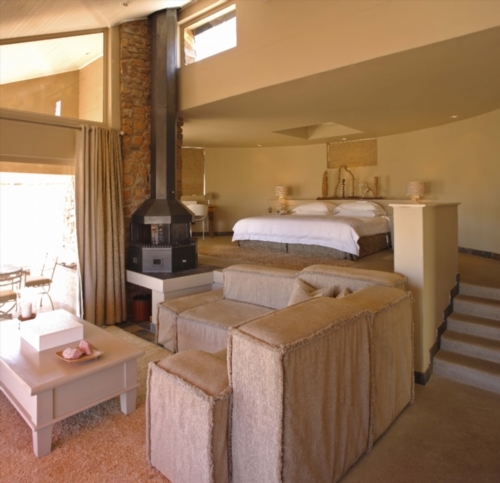 Warm, spacious and soft-toned suites. 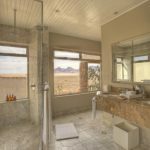 Showering at Sossusvlei in style. 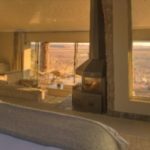 Views opening up right onto the desert. Spacious, cool and accommodating interiors. 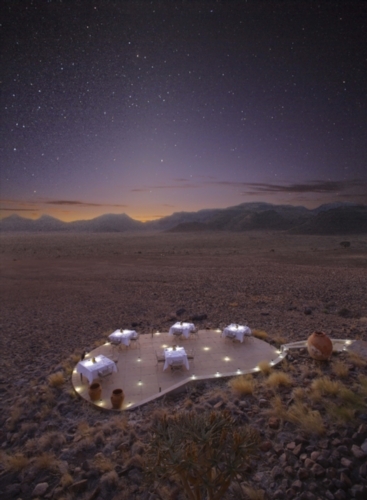 Dine under the stars, guided by light, in the safe bosom of the Sossusvlei’s desert. 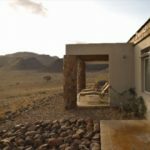 Stopping for drinks in the Sossusvlei desert. 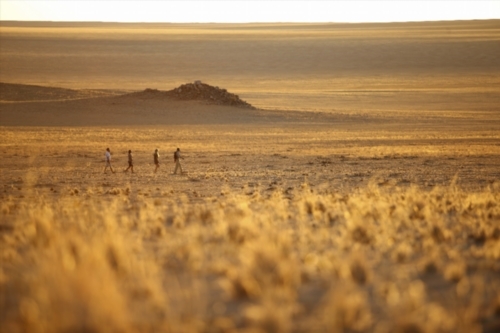 Guided walks through the desert are a unique experience at Sossusvlei. 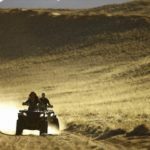 Own the Sossusvlei Desert on a quadbike. Feel the red dunes beneath your wheels. With no artificial light for miles, the Sossusvlei stars shine brighter than just about anywhere on earth.